Track your pours one glass at a time. Measure, view trends, and earn badges while drinking beer. 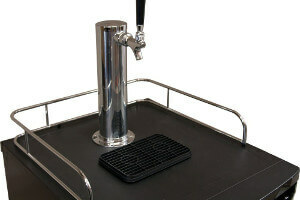 We offer everything you need to add Brewskey to any kegerator, keezer, or tap setup. Brewskey upgrades any kegerator by adding pour tracking, user permissions, and drinking badges. 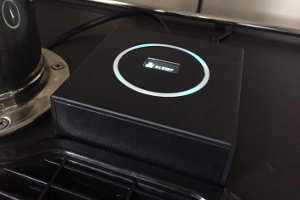 The device connects to the internet over your WiFi and uses NFC to authenticate and track every pour. View graphs or leaderboards to see who poured, when they poured, and how much. Every pour offers a chance to unlock a new drinking badge. Installing Brewskey is quick and easy. We've create a system that anyone can use to make a smart kegerator. 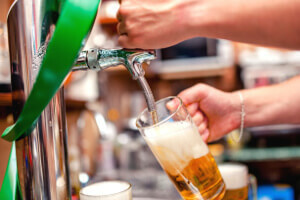 Splice the sensors into your beer line. Download the app and follow a quick setup process for your device. Pour and watch the system track your keg! Make sure uninvited guests, children, or your enemies cannot pour from your keg. Brewskey uses a robust permissions system to allow your guests to pour. Every pour is tracked and measured with Brewskey. Never go through the awful moment of throwing a party with an empty keg. Brewskey can send out low beer alerts and other time-sensitive messages. What would a smarter kegerator be without an app to go along with it? The Brewskey app brings the fun to the whole party. View profile pics, stats, achievements, recent pours, checkins, and more. 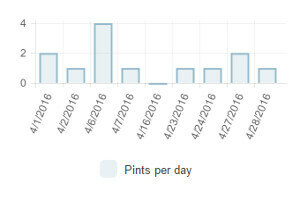 Keep track of the amount of beer left in your keg as well as who's drinking it. See a summary on the type of beer currently on tap - ABV/IBU/OG. See a daily and overall leaderboard for your current keg. View the when and where of all beers you've poured in the past. View all your past kegs for every tap. See historical data on who poured and when. Want to settle the age old argument of who drank the most the night before? We got you covered. Turn your tap on or off. Re-enter wifi credentials. Update tap details. It's all here. There comes a time between kegs when the line needs to be cleaned. Cleaning mode opens the solenoid for up to an hour so you can do your duty. Your device will be automatically updated over WiFi with the latest enhancements and fixes so you can stay current. Every user profile also features a list of badges. Each pour offers a chance to earn a badge! The Brewskey store is now open!